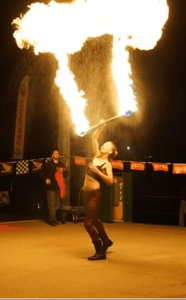 We are excited to announce that we have been invited back this year to be the official fire dancers of Lowell Motorcycle Night, the #1 Weekly Biker Destination in New England. It’s an awesome event held Tuesday nights May 20th through September 16th at Sampas Pavillion along the Merrimack River. You can catch us there May 27th and August 26th. For more information, click here.